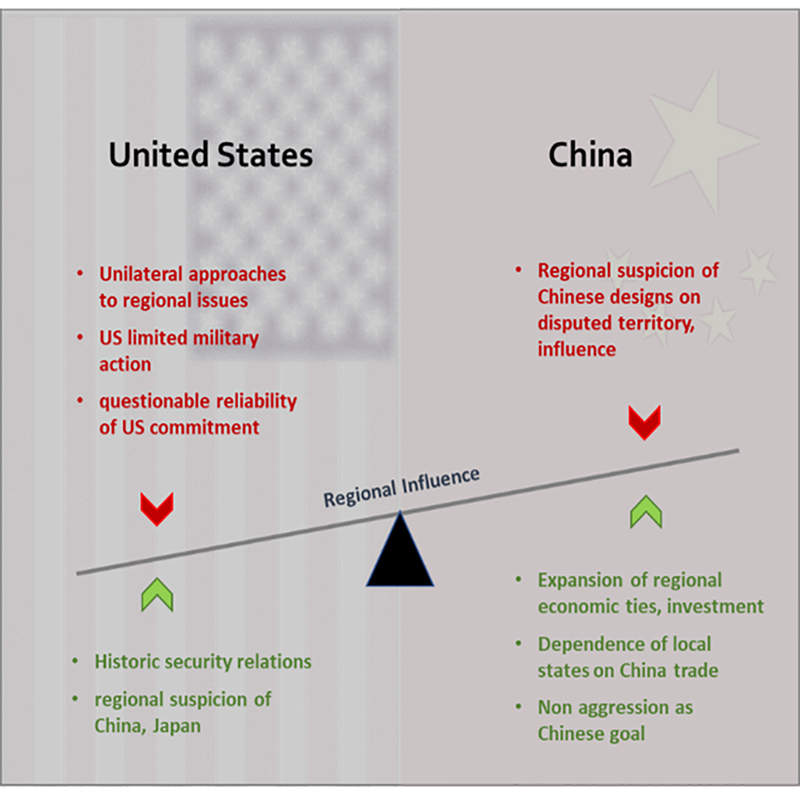 This NSI IRC (Interest-Resolve-Capability) analysis finds that retaining regional influence in the context of Chinese economic might and ambition requires significant change in the United States’ approach to and engagement with the region. POC: For inquiries regarding this work and to request a copy of the associated report, please contact Dr. Allison Astorino-Courtois (aastorino@nsiteam.com). Project Team: Allison Astorino-Courtois, Ph.D. (Executive Vice President); Weston Aviles (Analyst); Belinda Bragg, Ph.D. (Principal Research Scientist); Larry Kuznar, Ph.D. (Chief Cultural Sciences Officer); Nicole Peterson (Analyst); George Popp (Senior Analyst); John A. Stevenson, Ph.D. (Principal Research Scientist). The foundation of US government engagement with the Western Pacific AOR has been assuring regional security, generally by way of bilateral relations, security engagements, and military aid. China’s strategy of regional economic expansion is a major source of its regional influence, which in turn ensures its own domestic stability and regime legitimacy. US security guarantees, together with regional suspicion of China and Japan, have been major sources of US regional influence. Ironically, China’s economic growth and influence depends on the regional stability fostered by US security guarantees. As the region becomes more secure, it becomes more stable. Stability allows states to prioritize economic growth and prosperity. Over time, US security and extended deterrence relationships become less important for ensuring a safe and stable region. The NSI I-R-C™ analysis finds that in the context of rapid growth in China’s economy and ambitions, this approach may both diminish US regional influence and fail to achieve DPRK denuclearization. Inclusiveness and Multilateralism. There is broad regional support for peaceful, rules-based multilateral solutions. The US may not need to yield regional leadership, as some analyses suggest, if it takes an inclusive leadership approach in regional fora to build the rules-based regional order that allies and smaller states favor. Consistency with US Values. This does not mean that the US should scuttle its containment and deterrence positions, or worse, accept the DPRK as a nuclear state. In fact, maintaining the standards of non-proliferation and peaceful conflict resolution enables a straightforward narrative (“what the US stands for”) that could remove some uncertainty about US objectives and commitment. Appreciation for and Engagement with Regional Concerns beyond Security. Energetic US engagement in regional economic institutions to match military engagement could demonstrate US commitment to the region in the area of greatest interest to regional actors.